I've never liked the word diet, and one thing I love about Nutrisystem is that it's all about making healthy (and proper) choices! I don't feel like I'm missing out, I'm not always hungry, and I don't feel like I'm on a diet at all. 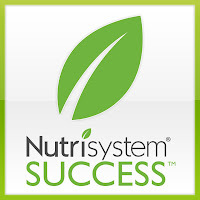 Losing weight is all about choices and Nutrisystem has taught me how to succeed. I volunteer at my children's elementary school, so I am around parents, students and staff every day of the school week. I've been a very active parent, volunteer and playground duty for several years now... since my 6th grader started Kindergarten, so I'm "well-known" by many. Staff member: "You are a mere shadow of the person you used to be. Doesn't it feel great?" Parent: "WOW, Look at you. 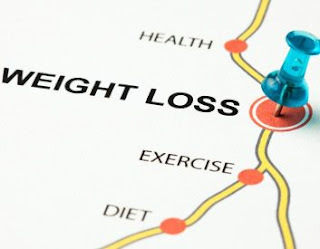 You've lost a TON of weight!" "You are sooooo skinny! Why are you so skinny now?" I don't expect people to comment on how much weight I've lost, but it's always nice to hear. It's another way of knowing that what I'm doing is really working! That keeps my total weight loss at 25 pounds! Am I disappointed? Absolutely! Am I going to let this knock me down? No way! I knew that somewhere along the way that I would hit a bump in the road, and this is my bump. I'm just going to roll over it and keep going. 25lbs! That is awesome! Keep going! 25lbs lost is an awesome accomplishment! I had my best luck losing weight (55lbs lost) when I was on Jenny Craig. Unfortunately when I was no longer on it, I gained back 25lbs because I don't feel it really taught me how to eat healthy. I relied too much on the prepackaged meals. I am working on losing 40lbs right now on my own with exercise and eating healthy. It's taking me a little longer but I am going to keep it up! Congrats for you! Post a pic. I am at a 12 pound weight loss and I need to focus and keep it moving. Congratulations on your 25lbs weight loss success! You will continue to lose weight because of your positive & determined attitude. Keep going because you will reach your goal. You are doing awesome and I love following your journey! Woohoo! You are doing fantastic! Congratulations! What an awesome accomplishment! You're doing great! Keep it up! It's wonderful to hear all those compliments, it sounds like they came at the right time. Hitting a 0 every now and then is inevitable and I'm glad you are in good spirits. You are doing fantastic!! Keep up the great work, and I love your optimism! Such a great attitude! It's always nice to hear others say they have notice a change. Congrats on your weight loss so far! !